IMAGE. Based on the Internet, which is always super reliable and never wrong, each year almost 100,000 people are saved by out-of-hospital CPR in the US alone… from everything from choking on food to heart attacks. 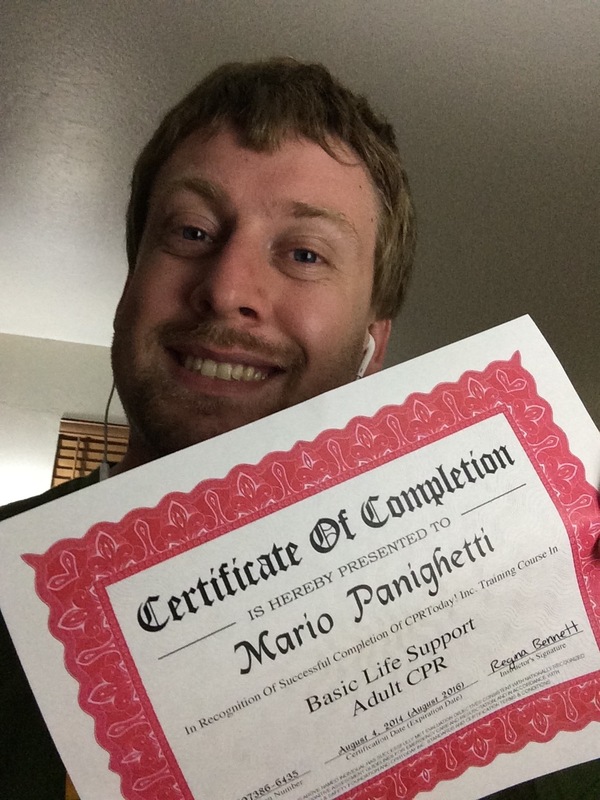 Get an online or offline CPR certification. It only takes an hour or two to do it online (Internet search for “online CPR certification”); however, the Interwebs say it’s more thorough if you go into an actual class (among many other organizations, the Red Cross and YMCA’s host classes). Your choice. Submit an image of you holding up your Certificate. Bonus points if you do it with a friend.